Dinnertime doesn’t have to feel like a chore, with these fun family dinner ideas you’re sure to end your day feeling closer to your kids. Don’t miss more ways to make mealtime special along with an awesome selection of family-friendly recipes inside the hottest new cookbook for kids. POP QUIZ: What does dinnertime look like for your family? A) We grab what we need while we run out the door to activities. What counts as a family dinner? B) Family dinner is silent as everyone shovels food in before we rush on to homework or bed. C) Our table is filled with the sound of tears–everyone cries about what is on their plate, and I spend more time negotiating bites than talking to my partner. D) Family dinner is our favorite time of day. We all sit down together and enjoy a meal and conversation. You popped by to read 7 fool-proof ways to make dinnertime the best part of your day; I bet you assume that I would answer this quiz with Answer D.
At one time or another, our family dinner has looked like each of those scenarios: from frantic meals in the car on the way to soccer, to miserably silent dinners when my husband and I were too stressed to talk, to loudly chaotic dinners as everyone at the table (the kids AND me) dissolved into tears over the nightly picky eating battle. Sound familiar? Then you and I are new BFFs. But you know what? Now that my kids are age 8 & 11, after many failed attempts and lots of cold dinners scraped into the bin, our dinnertime does resemble Answer D more often than not. And since we’re now besties, I’m going to share my favorite little secrets for making that happen. But before we get started, you should know that fun family dinners don’t happen like turning on a light switch. Some of these ideas might work better for you than others. Experiment. Ask for feedback from the kids. Along the way, you might learn a new trick. If you do, I hope you’ll let me know! We’re in this together, right? 1. Enjoy a special dinnertime music playlist. My husband and I recently realized that we have neglected our children’s musical education. We were horrified when they could not sing along to any of our favorite tunes on a recent road trip. We immediately hopped on Spotify and created a short playlist of our top artists to listen to over and over and over again until the kids know all the words by heart. We play our list at dinnertime, and it sparks conversations about why each song brings back memories for their Dad and I. The tunes go on the moment I enter the kitchen to cook and don’t end until the last dish is washed. The music often distracts the kids from whatever they might be tempted to fuss over and lightens everyone’s mood. BONUS: Clean-up goes way faster when the kids are dancing their dishes over to the washer. 2. Put the kids in control of the menu. Stop it. I can hear you gasping all the way over here. 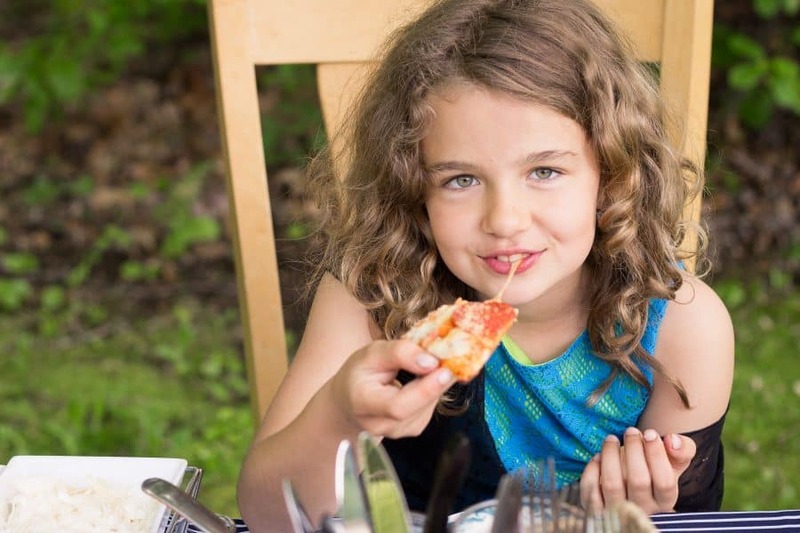 Putting kids in control of your dinner menu doesn’t mean you’re going to be staring down a buffet of Cocoa Puffs, pizza bites, and Goldfish crackers. Well, maybe it does but only if you’re approaching this opportunity with the wrong attitude. I find that kids are more inspired when they can see BIG colorful photos of their dinnertime options. It’s why I insisted that there be a clear photo of every single recipe in my book The Ultimate Kids’ Cookbook. Your child can mix and match a dinner and a side dish from 75 fresh and delicious recipes. BONUS: There’s not one single dessert to distract them from the goal of helping you get a healthy dinner to the table! 3. Offer controlled dinner options for the menu choices. When a cookbook or pin board is just TOO MUCH for your child to choose from, narrow the playing field significantly. Some kids do much better with an A or B option. Know you’re going to have a super busy evening and need a 10-minute dinner? Find two you like and ask your child to pick the winner. When children are given control over what arrives at the table, it is amazing to watch their attitudes towards eating improve. Happier kids equal fewer battles distracting from the fun! 4. Divide up the cooking tasks–put your kids in charge. You can also make it a game and ask your child to be the Master Chef in your kitchen. Let them boss you around a little bit for once and watch the pure glee that fills them! This is your chance to model how to gracefully take instructions and follow orders and a fantastic opportunity to teach your child how to politely delegate tasks and inspire their team. 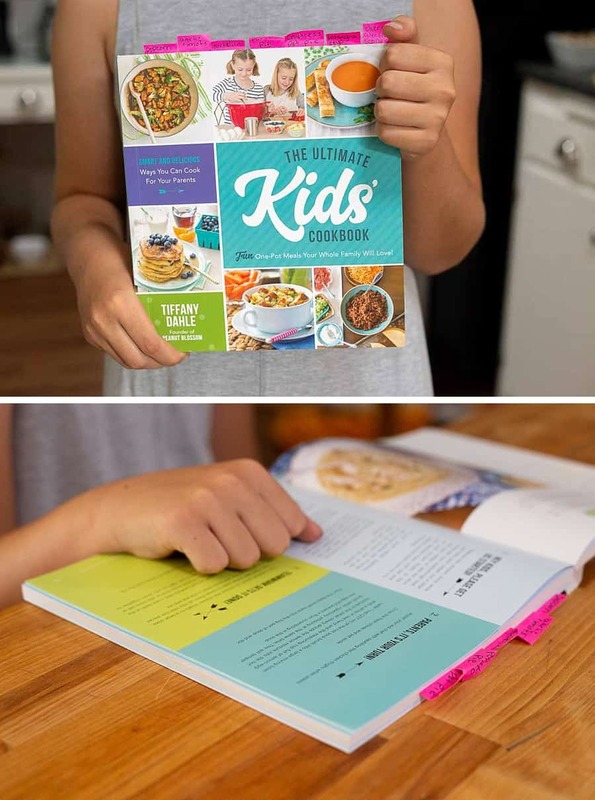 Every recipe inside of The Kids’ Ultimate Cookbook is written for kids to control the creation of the dinner with an adult helper by their side. Kids reading through the recipe will know exactly what to ask of their parent and when it’s the perfect way to instill kitchen confidence. 5. Choose interactive dinner recipes with easy clean-up. Taco bar with one protein and several simple toppings. Salad bar with one big bowl of greens and whatever you can scrounge from the pantry and fridge (nuts, fruits, seeds, cheeses, deli meats or leftovers, etc.). Breakfast for dinner: Build-your-own skillets with one big pan of scrambled eggs and various toppings on the table (shredded cheese, salsa, veggies, and plenty of fruit for the side). Pizza night with simple frozen cheese pizzas that you can top with all kinds of combinations in quadrants before baking. 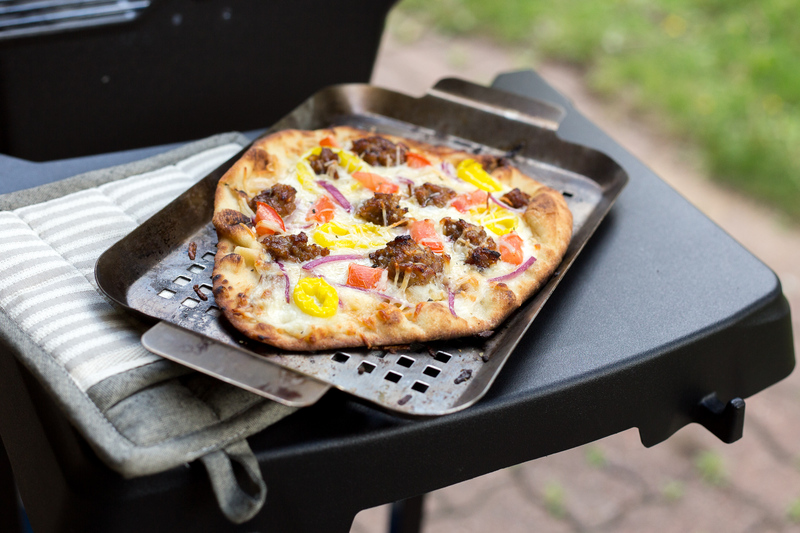 (I know Zina sometimes uses this simple grilled pizza hack to slow down as a family too). 6. Keep your taste buds in mind too, be brave enough to push the kids a little bit. We’ve talked plenty about keeping the kids happy, but the kids are not your whole family. YOU matter, too! 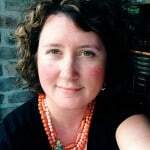 Adults should not have to be painted into a corner with an endless stream of chicken nuggets and macaroni and cheese just to keep the kids willing to eat at dinnertime. Make dinners that you and your partner love on a regular basis. Do NOT make a second more kid-friendly dinner on the nights that you do. It has been proven that kids eventually respond positively with repeated exposure to certain foods. It may take a few years if your kids are young, but I’ve witnessed this myself. 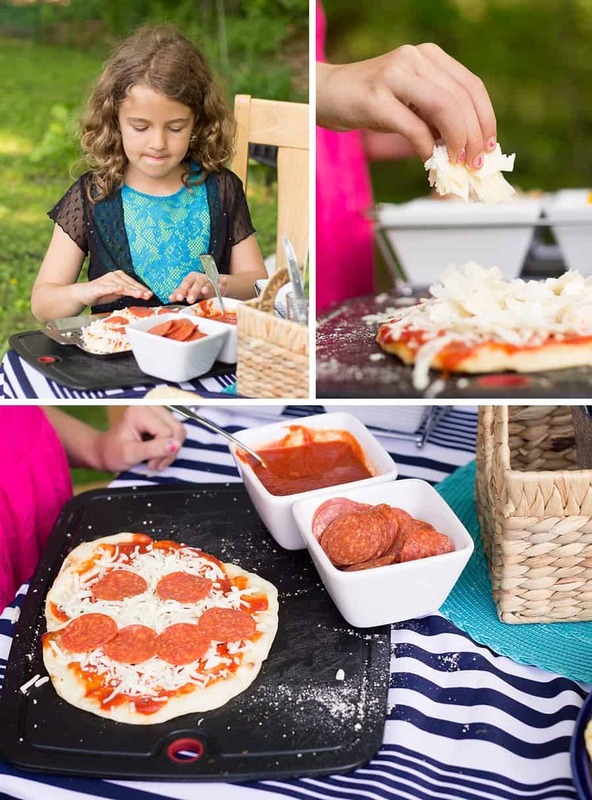 For example, while our kids would prefer to stick to classic pepperoni on pizza night, we like to experiment with unique toppings. Even though my kids will deny liking peppers or onions, this Sausage & Alfredo Grilled Pizza (with peppers and onions) is a FAMILY favorite. How will they learn to enjoy your favorite dinner if you don’t feed it to them? I dedicated an entire chapter of my cookbook to encouraging picky eaters to expand their palettes through baby step taste tests. Using the exact same tricks from the book, I now have adventurous kids that will eat things like shrimp, veggies of most kinds, and won’t bat an eye when something hot and spicy is served. 7. Keep score, make dinner a competitive battle pitting recipe against recipe. At the end of each meal, chat as a family about the score you would give that night’s recipe. Every member gets a vote. If you have a chalkboard, write the top ranking recipe of the week on it and every night see if the new contender will displace the running champion. Add the winning recipe from each week to a Hall of Fame Dinner Winner list. Next time you need to plan a meal, you’ll have an excellent place to look for inspiration. If your Hall of Fame list is too short, then you know you need to plan a week of dinners filled with more adventurous new things. Pitting the recipe against your family with a hearty sense of competition puts you all on the same team. Have your partner play the theme song from Rocky when you approach the table with the food. Even if it only makes you laugh because your kids have NO IDEA what this goofy music is all about, you’ll sit down at the table with a huge grin on your face. Believe me; a smiling, laughing mom is absolutely the best way to set the tone for a fun family dinner. P.S. The Ultimate Kids Cookbook: Fun One-Pot Meals Your Whole Family Will Love is now available for pre-order! Filled with 75 delicious recipes for kids that will inspire young chefs to cook for their families, this book is a must-have for every home library. Moms across America have fallen in love with Tiffany Dahle’s family-friendly approach to dinnertime. 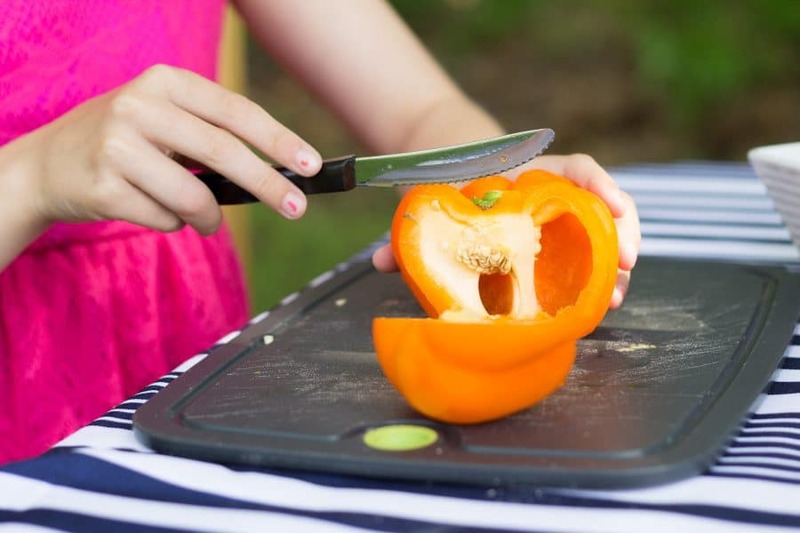 With an emphasis on kid-approved recipes and easy to manage shortcuts, she encourages overstressed moms to completely rethink their meal strategy in her popular 30 busy night meals. Her highly anticipated first cookbook, The Ultimate Kids’ Cookbook, empowers kids to step up in the kitchen and manage meal prep in a meaningful way. Read more about how this unique cookbook for kids can enhance your family time here.